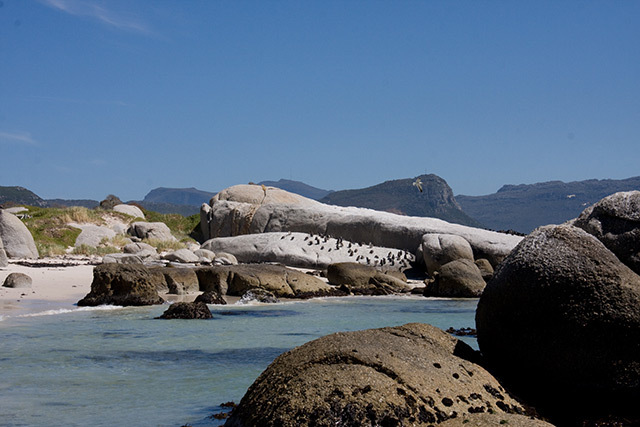 A trip to Simon’s Town without a visit to Boulders Beach would be like a trip to Paris without seeing the Eiffel Tower. This beautiful secluded and sheltered beach is found amongst a crop of large granite rocks that date back around 540 million years. Boulders Beach is just outside of Simon’s Town on the way to Cape Point, and is part of the largest penguin colony in Africa. 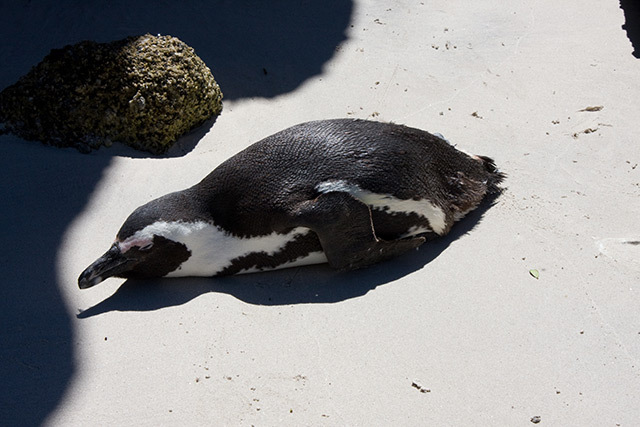 The first two African penguins in Simon’s Town were spotted in 1982, and they obviously felt right at home, as numbers of this endangered species soon grew to around 3,000 in the area. 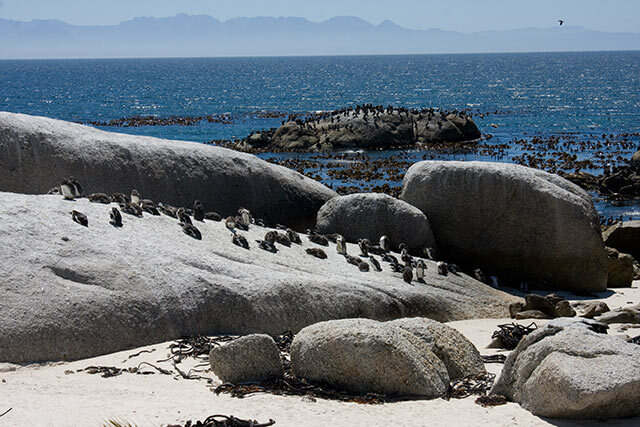 Today Boulders Beach is part of Table Mountain National Park and the beach draws droves of tourists every year with its unique opportunities to view these rare and entertaining birds. There are wooden walkways above the beach where the penguins can be seen in their nests in the bush undergrowth. The walkways also lead down to a viewing platform at Foxy Beach, the most populous part of the colony. 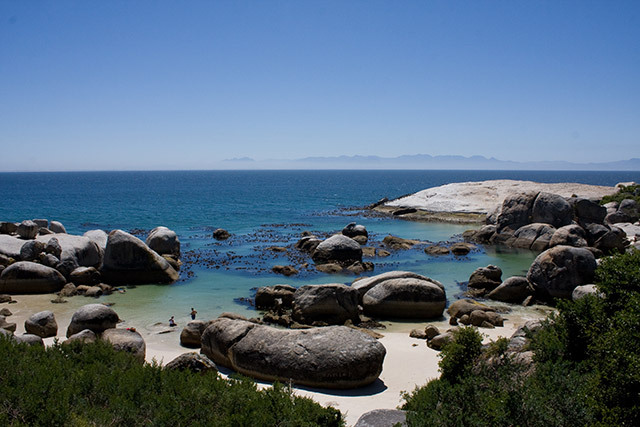 Whilst tourists cannot go onto the beach at the colony itself, the adjoining section of pristine white sand and crystal clear water at Boulders Beach is great for swimming and snorkelling between the rocks as numerous penguins jump in and out of the water and swim playfully around you. Children in particular will love the experience, and you could easily be forgiven for spending the whole day lounging on the beach with these amazing birds. But as friendly as they may look, do not try to touch them. They have a pretty nasty bite! There is also a visitor’s information centre at the entrance to Boulders Beach where you can find out more about the penguins, including their conservation, breeding habits and their general history in Simon’s Town.